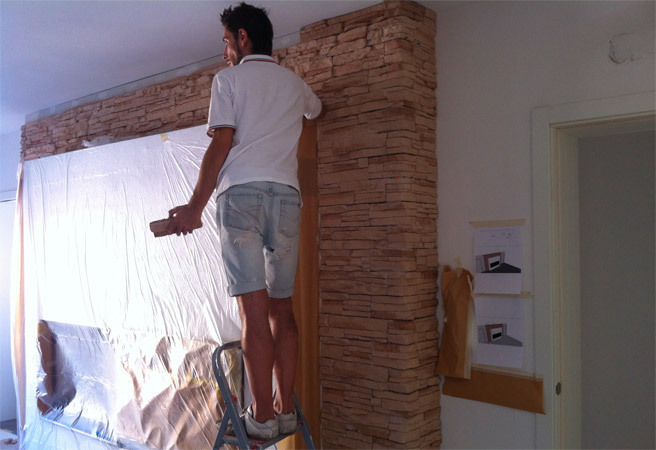 There are personal touched to these 140 square metres, which Alessandro and Elisa have planned room by room. A tailored job, according to their tastes, which are well-defined even if they are both in their early thirties. A designer at the reseller Duegi of Sant’Elena (province of Padua), Alessandro Greggio works with furnishings and fireplaces on a daily basis, finding specific technical solutions. Not by chance, then, has he chosen Scenario by MCZ for his home: a gem of a heating system - aesthetically perfect and exceptional from a functional standpoint. 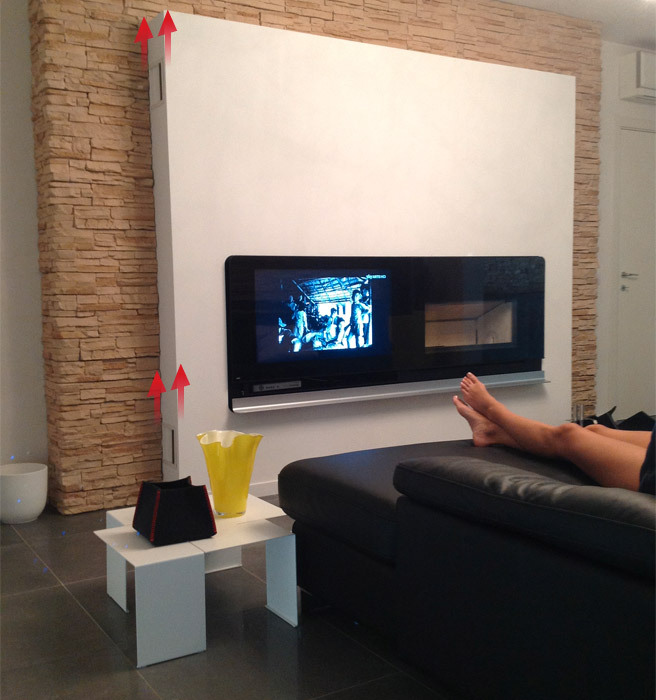 At its core, Scenario has a 11 kW powerful fireplace (Vivo 90 Wood). It can easily heat a large living room with kitchen on the ground floor as well as the entire sleeping area built upstairs. 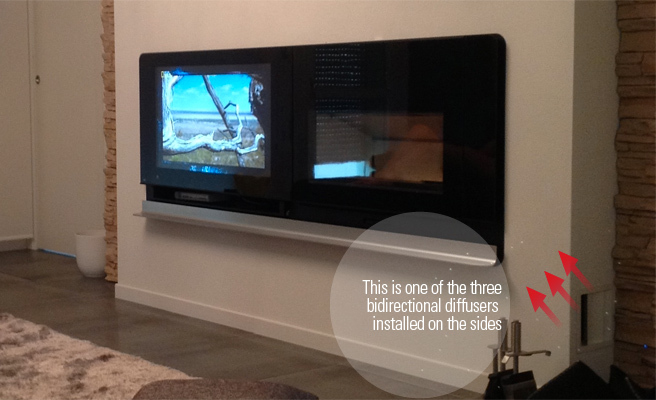 Hot air circulates naturally, without the need for fans, from a ventilation grill at the top and two bidirectional diffusers on the sides. A simple but ingenious solution which allows an optimal distribution and transfer of heat even to the floor upstairs. The natural convection works perfectly in well insulated houses (Alessandro and Elisa's is class B) and in cases where ducts are less than 2 metres. 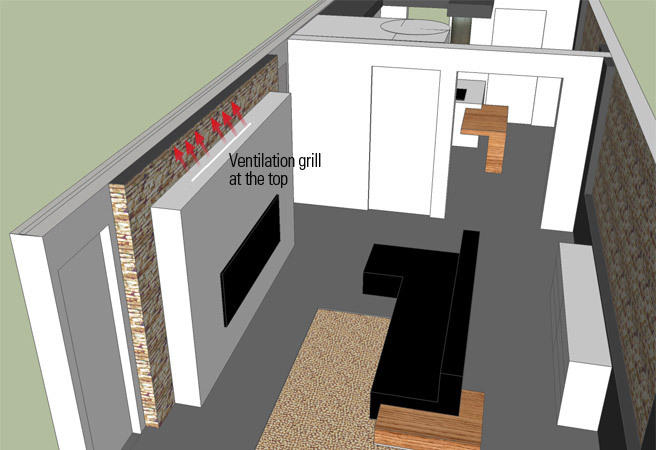 This design incorporates pipes from the fireplace to the air vents which are about 1.5 metres each.